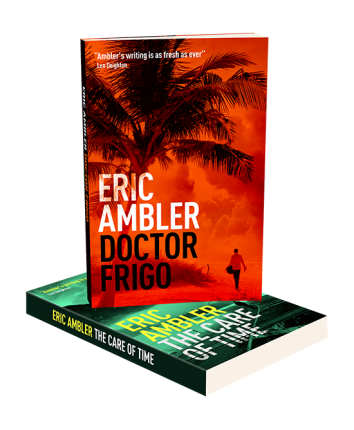 Renowned thriller writer Eric Ambler turns his attention to true crime—with an emphasis on murder. 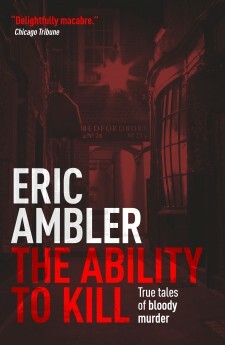 In five essays, he presents a sampling of famously intriguing (and often disturbing) cases of the last few hundred years, including 19th-century Edinburgh’s Burke and Hare, who supplied the medical school with ill-gotten cadavers; Victorian London’s infamous Jack the Ripper; the Frenchman Henri Desiré Landru, an early 20th century serial killer; and the Californian doctor Bernard Finch and his lover Carole Tregoff, who conspired to murder his wife in 1961. Rounding out the collection are a few lighter pieces on spies and how to spot them, and novelists in Hollywood. In Ambler’s capable hands, these stylish examinations of often serious, sometimes grim topics are a pure pleasure to read.